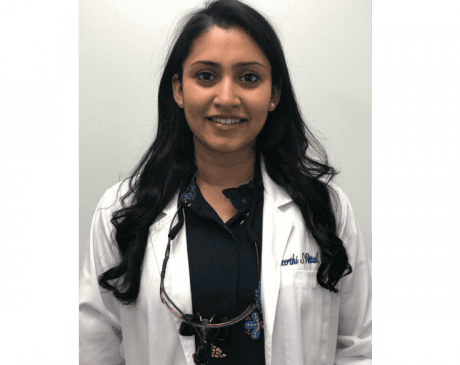 Dr. Vittal received her Doctor of Dental Surgery from Columbia University College of Dental Medicine and pursued a year of Residency at Lincoln Medical Center in New York. Originally born and raised in India, Dr. Vittal achieved her academic goals by graduating from Rajiv Gandhi University with a Bachelor of Dental Surgery degree. Dr. Vittal has dedicated her career to providing personalized quality care to all her patients. She keeps herself abreast of the most recent technological advancements in the field of dentistry by participating in numerous continuing education courses. She is an active member of American Dental Association, New Jersey Dental Association and Indian Dental Association. In her spare time, Dr. Vittal enjoys being a mother to her 3 yr old Golden Retriever dog and her 19-month- old baby girl. In addition to spending quality time with her family, Dr. Vittal is passionate about cooking and travelling.